Our friend Nick "Just Nick" Jaffe is never at a loss for words. 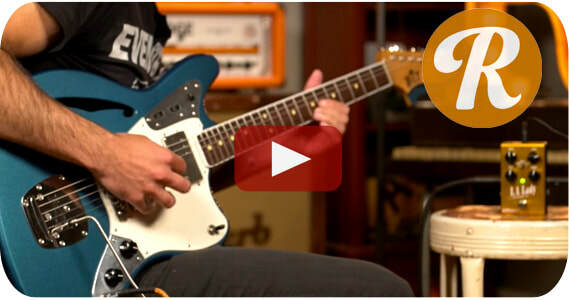 Nick is an excellent player, and we love his knob turning approach to demo videos. And of course his in-depth thoughts and observations about every pedal he demos are legendary. 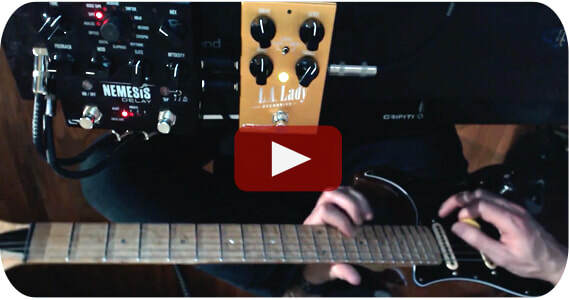 The L.A. Lady Overdrive and Kingmaker Fuzz both feature three different types of drive out of the box with an additional 40plus tones on tap via the Nuero Mobile App and Desktop Editor. The classic overdrive tones include sounds inspired by the Klon Centaur, Big Muff, Tube Screamer, Tone Bender, Fuzz Face, Octavia, Marshall, and Mesa Boogie as well as full MIDI functionality with the Neuro Hub, stereo inputs and outputs, and deep editing abilities with the Neuro Editors. The great Bill Vencil (a.k.a. 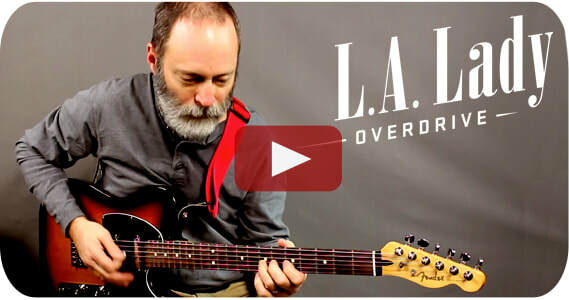 "Chords of Orion") plugs his baritone guitar into the L.A. Lady for some great sounds.